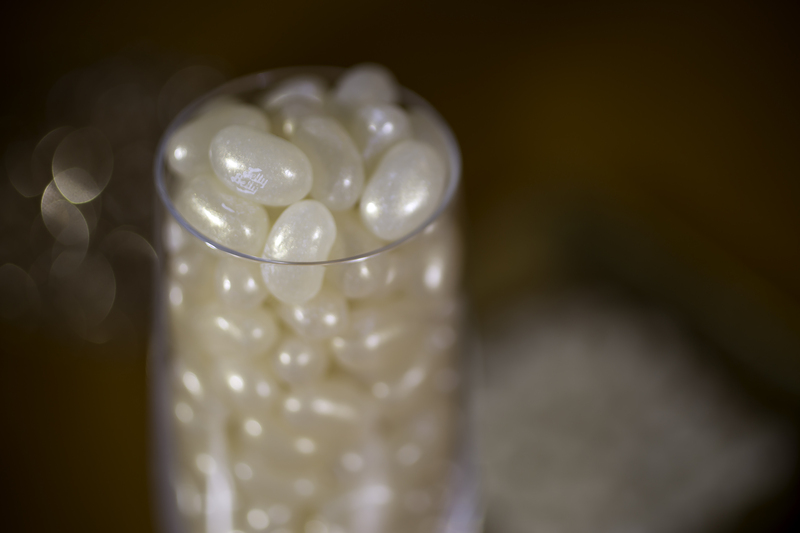 With a light and fruity flavor profile, new Champagne Jelly Belly® jelly beans bring sparkle to weddings, showers, parties, and adult snacking. The iridescent finish of the candy follows the metallic trends seen today in modern fashion and décor. With a shimmering pale, golden finish, it looks like a freshly-poured glass as the foam begins to settle. With a light and fruity flavor profile, new Champagne Jelly Belly® jelly beans bring sparkle to weddings, showers, parties, and adult snacking. The iridescent finish of the candy follows the metallic trends seen today in modern fashion and décor. Jelly Belly Candy Company has made the initial run of this new flavor available online at http://www.jellybelly.com and at Jelly Belly stores for holiday celebrations and New Year’s Eve parties. 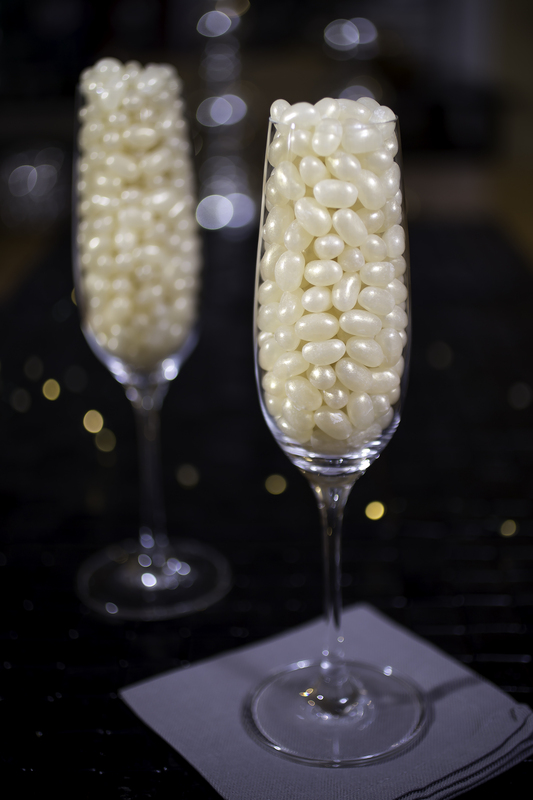 Champagne Jelly Belly beans have all the flavor of a glass of bubbly in a petite package – and none of the alcohol. With a shimmering pale, golden finish, it looks like a freshly poured glass as the foam begins to settle. The new flavor will be sold in as a single flavor only, and is shipping to candy counters now, just in time for the holidays. Champagne Jelly Belly beans follow on the heels of other drink-inspired introductions in 2014, Draft Beer and Jewel Ginger Ale. 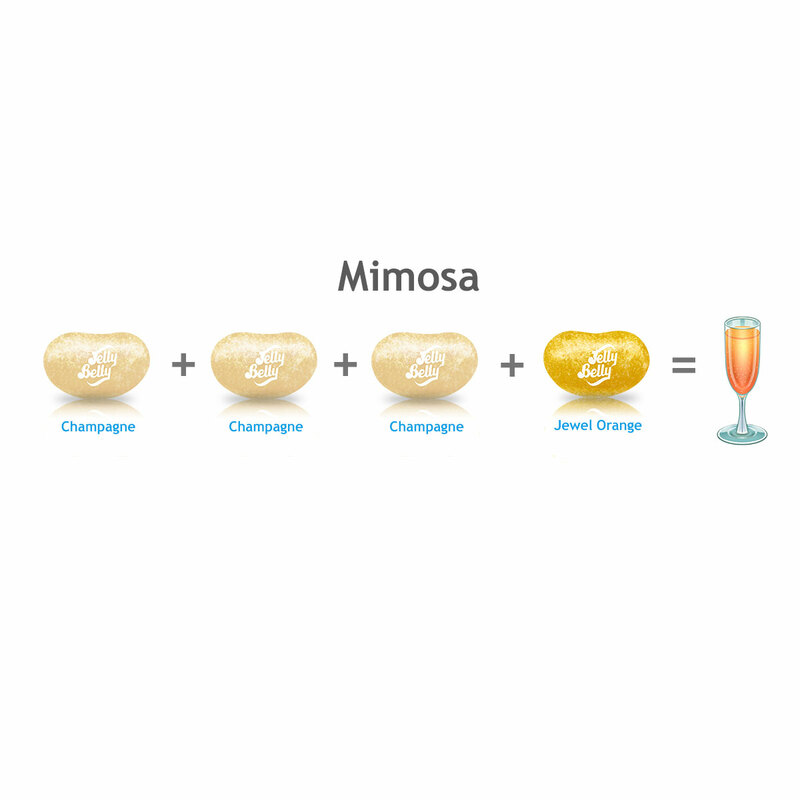 Further the flavor exploration with a fun “mimosa” recipe: 3 Champagne + 1 Jewel Orange. Jelly Belly beans contain four calories per bean and are fat free, peanut free, dairy free, gluten free, vegetarian and OU Kosher certified. For information, visit http://www.jellybelly.com. Consumers may contact Consumer Affairs at (800) 522-3267. Connect with us on Facebook, YouTube, Pinterest and Instagram.